The ideal lightweight, drainable and quick-drying shoe for staying safe and comfortable during activities in the water, on land and everywhere in between: large drainage holes shed water quickly and siped lugs provide increased traction on wet surfaces. Quick lace toggles provide a secure fit and make getting in and out of these shoes a cinch. Cushioned, blocked, shielded and shaded. TECHLITE: Lightweight Cushioning and Support. OMNI-GRIP: Hold Tight on Any Terrain. Construction: Techlite midsole with drainage ports in heel and forefoot. Omni-Grip high traction wet rubber grip. 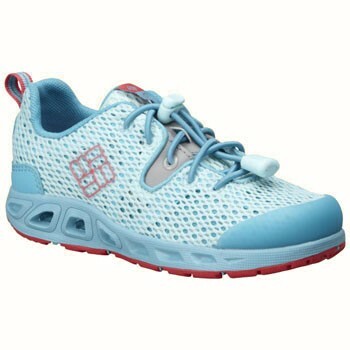 Breathable single layer open mesh upper. Simple 1 lace system. Siped with lugs for extra traction. Fully drainable footbed. Fabric: UPPER: Breathable, single-layer mesh. FOOTBED/MIDSOLE: Techlite technology. OMNI-GRIP OUTSOLE: High traction rubber.